It’s another bad hair day. What’s going on? You scrubbed your hair in a circular motion. You blotted it dry instead of rubbing it. You even tapped into your next car payment when your stylist talked you into buying the fancy European mousse that she swore Kim Kardashian uses. So what’s the problem? It’s not your shampooing technique, the temperature of your water or a hair product malfunction. It’s humidity. It’s in your house. This is the amount of moisture, or water vapor, in the atmosphere. As the amount of vapor rises so does the amount of humid air. This air reaches 100 percent saturation when it is completely filled with water vapor. Florida is one of the most humid states in the country because its heat makes water evaporate more quickly than it evaporates in cooler regions. Humid air can be just as prevalent within your home. You can take measures to reduce it and its effects. Take a cold shower. Seriously. 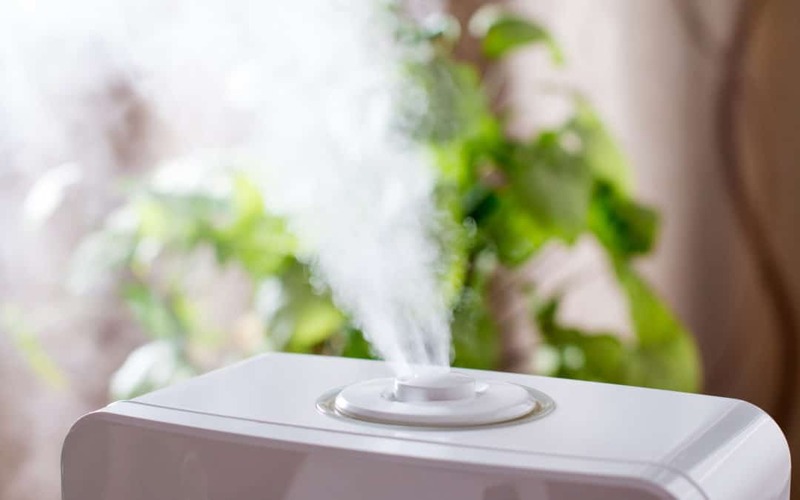 It produces minimal steam and minimal humid air. An added benefit is that cold showers are actually good for you! If you’re skeptical, take less time luxuriating in the warm vapor, crack a window or leave the door open if privacy isn’t an issue. Running the exhaust fan during and after your shower will reduce excess moisture in your bathroom. If you don’t own a powerful quiet Bath fan, Progressive Air Systems will make some affordable recommendations and professionally install them where needed. Hanging wet clothing indoors escalates humid air levels. This is particularly true of inadequately vented laundry rooms. Contrary to its name, a dryer actually releases moisture if it’s not adequately vented. Line drying is especially important during humid seasons. If you live in an apartment without a balcony, use a clothes dryer that is adequately vented. Houseplants release moisture that can contribute to your home’s humid conditions. Liquid that isn’t absorbed by them is expelled into the air. Keep houseplants outside during the spring and summer. Alternatively, group them all in one room of your house, or counteract moisture release by covering the plant’s soil with burlap. You can also purchase plants that absorb humid air, including reed palms, Boston ferns, and peace lilies. When you cook — both stovetop and in the oven — steam escapes, forming humid air. Avoid this by covering boiling pots, and use a slow cooker when you can. You can also flip on the kitchen fan when you’re preparing a meal. Regularly replace your HVAC’s air filter. When it’s clogged with dirt and debris airflow is restricted. Not only does this take a toll on your HVAC system but it congests your home’s airflow. Stagnant air holds moisture, and this moisture becomes humid air. Weather stripping is a rubber material used to seal cracks along drafty window and door frames. Not only does it prevent your air conditioning and heating from leaking out but it prevents moisture from seeping in. Weather stripping is a necessity in Florida. Ceiling fans are an inexpensive and effective means of reducing humid air. As the blades spin, they create a breeze that makes excessive moisture evaporate. They also elevate air circulation and can be easily situated in living rooms, dining rooms, and bedrooms. You can also combat humid conditions by running your air conditioner. Stagnant water, as well as condensation from your hot and cold pipes, is going to ratchet up your home’s humid air. Repair leaky, sweaty pipes, or insulate them. If you can’t afford insulation, you can do an easy DIY by wrapping your pipes with swimming pool noodles. A dehumidifier is an apparatus with a fan that draws humid air over a refrigerated coil and then a heated one. The air becomes drier and re-enters the room warm and dry. Dehumidifiers reduce moist air, and they can also thwart the development of mold that can wreck your walls, ceilings, floors, and health. Progressive Air Systems, Inc. offers Carrier Variable Speed HVAC Systems. A Variable Speed motor inside the air handler can run at a wide range of speeds to precision control the cooled air throughout your home, unlike a conventional single speed Air Handler. The Variable speed Air Handler paired with a controller like the COR can give the homeowner complete control over the humidity in their home. It doesn’t take much moisture to raise a home’s humid air. A professional can diagnose the problem and alleviate it. Progressive Air Systems, serving Eastern Florida’s coast, has 33 years of experience in skillfully resolving a multitude of HVAC issues. This includes humidity problems. Call our specialists today, and we’ll hang your humid air out to dry.